My body has given out on me today whether its the vigorous workouts Im doing, lack of sleep or ever since I came back from Columbia with the change of weather.. I think I have the flu.. Im beat & I need sleep...but before I do that I've collected some Rafalinkage news.. There are so many articles swirling around about Rafa's Taxes & I for one think they are way too personal to post..regardless I do not think it is any of our business .. this is going way too far..But again there are other Rafa fans sites who won't agree with me about posting these articles around or even writing about them but I for one am not & will respect Rafa's Tax issues. On to the Rafa/Tennis appearances .. 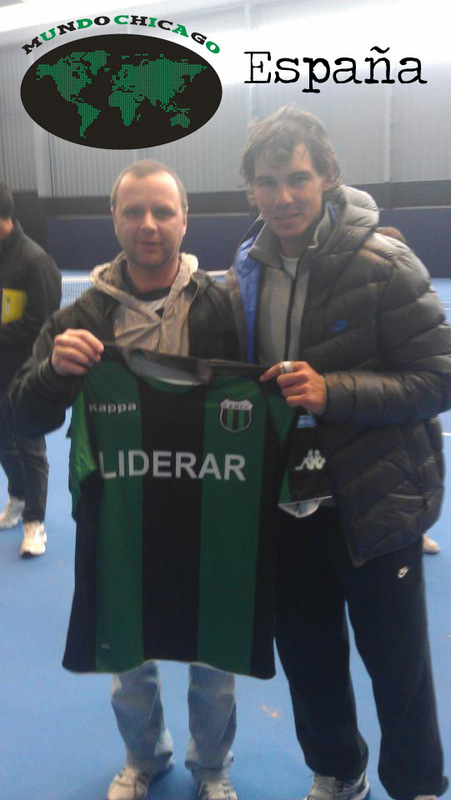 Fans AROUND THE WORLD - Edgardo Calegari with Rafael Nadal, Spain. LQDVI 'What Really Matters' Congress to the media on Thurs 23 February in Manacor. Scratch the last entry being that Rafa has already shot the video with Ronaldo. Rafa posted a pic for us. Via Money Leaders Rafa is at number 2 in earnings this year so far.. 2, Rafael Nadal, $1,236,485.